Don’t worry, Google promises that it isn’t getting into the sneaker business. They are just showing off what they can do. At SXSW, Google revealed sneakers that are part of a new program called “Art, Copy and Code,”. 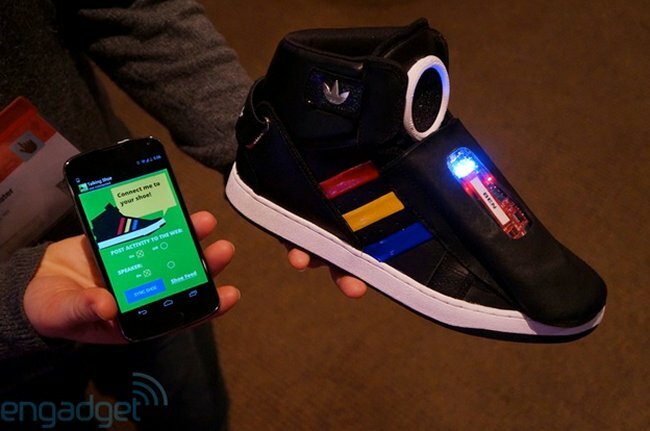 The sneakers have a microcontroller in the tongue and a speaker. It features an accelerometer and a gyroscope and also has sensors at the bottom. The footwear connects to your smartphone via Bluetooth. So, what can they do? Well, for instance, if you start running, the sneakers could cheer for you. If you should be running, but are on the couch, maybe they can motivate you. It shows how tons of data can be analyzed to tell a story “in new and different ways.” This project is backed by Adidas. What do you think?